With 8 years of design, illustration and production skills under his belt, fresh off of learning the Mac at a local trade school, Hector García decided to team up with a colleague to start a freelance business. It was a very exciting time as the Mac was just beginning to enter the Agency workforce. Hector sensed it was the future of design and was fully engaged in learning how to transition his board skills to the Mac. While working full time, Hector and his new partner worked at night on their Mac and thus decided to call their company "Mac by Night." His clients were anyone and everyone. After 3 years of success burning the midnight oil, the direction for Mac by Night was not a shared one so the principles decided to part ways amicably. Hector retained the company name. With his vision he knew that a major logo refresh was in store. He went to work on crafting a new look that would embody the creative side that Hector had a reputation for upholding. Mac by Night took on clients of greater stature and had a major growth spurt. Hector left his Design Manager position at a local agency to focus on growing the business. It was not easy as Hector had a wife and 2 small children at home, a mortgage payment and 2 car payments with a humble savings. After about a year of positioning Mac by Night was a budding design agency. By creating partnerships with local vendors, freelancers and some full time talent, Mac by Night had another major growth spurt. Hector was in the midst of attaining a client that would dwarf all others. This called for another logo refresh, new collateral and posturing to take Mac by Night to new heights. 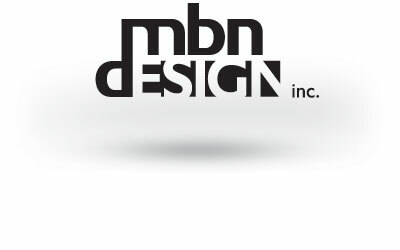 Thus, MBN Design was born. The new logo represented the growth, stability and strength that large corporate accounts require of their vendors. The staff doubled over the next several years and their focus was 80% branding and packaging for national and multi-national brands. It's the teams vision to consistently raise the bar, not only for themselves, but for each and every client, present and future. At the foundation of their values is TRUST. That resonates with every team member, client and vendor. With their latest and greatest logo redesign, a simple, clean, effectively communicating logo encompasses precisely what they specialize in. © 2019 MBN Creative, Inc.